Practice makes perfect, but Keely Rendle’s talent makes practice short and rewarding. 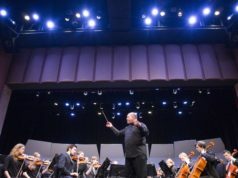 By the time most winners of the annual con­certo com­pe­tition step on stage to solo with the orchestra, they will have pre­pared their pieces for a full year. The secret to her success doesn’t lie in a fre­netic semester of practice; it lies in her unique com­bi­nation of musical skill and love for per­for­mance cul­ti­vated through her band, Erwilian. The band is made up of six other musi­cians and a plethora of instru­ments, ranging from guitars and man­dolins to recorders and hammer dul­cimers. “It’s like a second family,” Rendle said. Rendle’s love for Erwilian almost kept her from coming to Hillsdale, but her band encouraged her to pursue her interests in both music and in coun­seling, as she plans to major in psy­chology. Rooted in Rendle’s home town of Renton, Wash­ington, Erwilian’s seven musi­cians perform, arrange, and compose their own music. 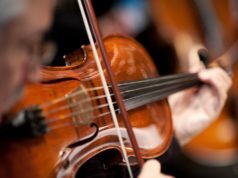 The com­po­sition process usually starts with a chord sheet, “the bare bones of a song,” as Rendle explained. Impro­vi­sation is key. “Some­times, they’re like, ‘Keely, here’s 32 mea­sures. You have a solo. Here!’” Rendle said, laughing. The final product always carries on the Erwilian sound, which Rendle describes as “ener­getic, fresh, and some­times heavenly,” largely based on its use of the hammer dulcimer’s angelic tones. Erwilian’s music is purely instru­mental, so Rendle has learned to make her violin tell stories for her. Among Erwilian’s annual Christmas set list is “The Coventry Carol,” a melody that mourns the story of Herod’s slaughter of the innocent children in Beth­lehem. Years of per­forming and prac­ticing with Erwilian have kept her fingers and mind nimble, preparing her for the chance to perform on stage at Hillsdale. According to Knecht, Rendle’s suc­cessful per­for­mance com­bined tech­nical pro­fi­ciency, years of expe­rience, and an intel­ligent under­standing of the piece. But what sets Rendle apart isn’t tech­nical skill alone. Bruch’s Violin Con­certo No. 1 caught Rendle’s ear because it matched the mood of her pre­vious playing, but she ulti­mately chose it because she wanted to learn some­thing new. Though she’s played in orchestras before, Rendle has never soloed with one in her 11 years of violin. In fact, she only con­sidered the com­pe­tition after Knecht told her to do so. Rendle’s prepa­ration for the com­pe­tition bears witness to her love of the process of learning and per­forming great music, rather than her desire for com­pe­tition titles. Rendle has a rep­u­tation among her friends playing off­stage, no matter the audience. 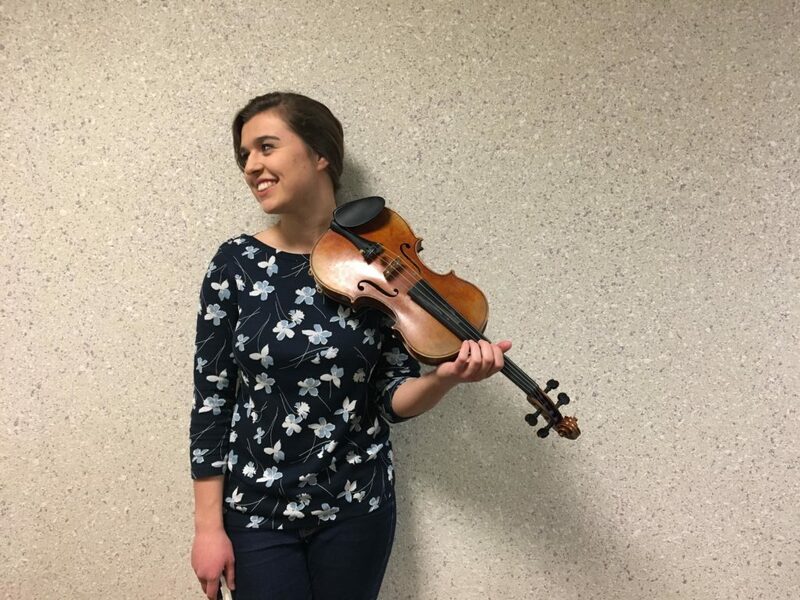 Remem­bering one visit to a preschool with a Hillsdale mission trip over this past spring break, freshman Car­oline Hen­nekes said Rendle accom­panied a story with sound effects twanged from her violin to entertain the children.